It took years for Christina Chiew Wang See to realise that the history textbooks she had been taught in school were not really the whole truth about the country. 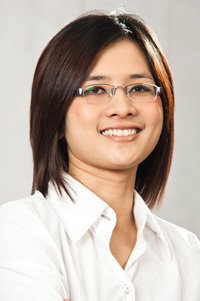 The newly-elected state assemblywoman for Batu Kawah, Sarawak says she only opened her eyes to the one-sidedness of the history textbooks after she grew up and developed a sense of political awareness. “The textbooks in use today are not a correct reflection of the actual events that took place, it is a biased ‘pro-government’ account. The ruling government has abused their powers to politicise the context of Merdeka in the school textbooks,” said the 27-year old Christina. Despite 54 years of independence, Chiew says Malaysians are not really free, citing that oppressive laws such as the Internal Security Act (ISA) and the University and University Colleges Act (UUCA) are stifling citizens. “I first realised that I lost my freedom when I was a student in University Malaysia Sarawak (UNIMAS). I saw many young people with strong ideas… but due to the UUCA, they did not have a chance to voice out their opinions. “The UUCA is an obstacle for critical-thinking students to contribute good ideas to nation-building,” she said. A chemical engineer by training, Chiew views the unfairness of the UUCA as a sign that the BN government is afraid of student’s voices. “The government knows that young people are agents of change. Many took part in the Bersih 2.0 rally because they realize how ‘dirty’ the Malaysian electoral system is. On 9th July, they dared to brave the tear gas and water cannons, because of their deep-seated wish to have a better Malaysia. These are the true patriots,” she added. Nevertheless, Chiew believes that with the growing popularity of internet media, the government is unable to manipulate all channels of information. The Sarawakian lass added that although BN has control of the mainstream media, it cannot prevent the people from sharing alternative information on social networking sites such as Facebook and Twitter, or by word of mouth. She pointed out that after the Bersih 2.0 rally, videos and photos surfaced of police brutality to contradict the official government version portrayed in the mainstream media. “My generation enjoys much freedom, except the freedom to think and voice out our views. Many youngsters are scared to voice out their ideas, they have no channel to express their views,” said Chiew. According to her, it is completely unfair to citizens that the country is still in a state of emergency and that emergency laws are in effect. 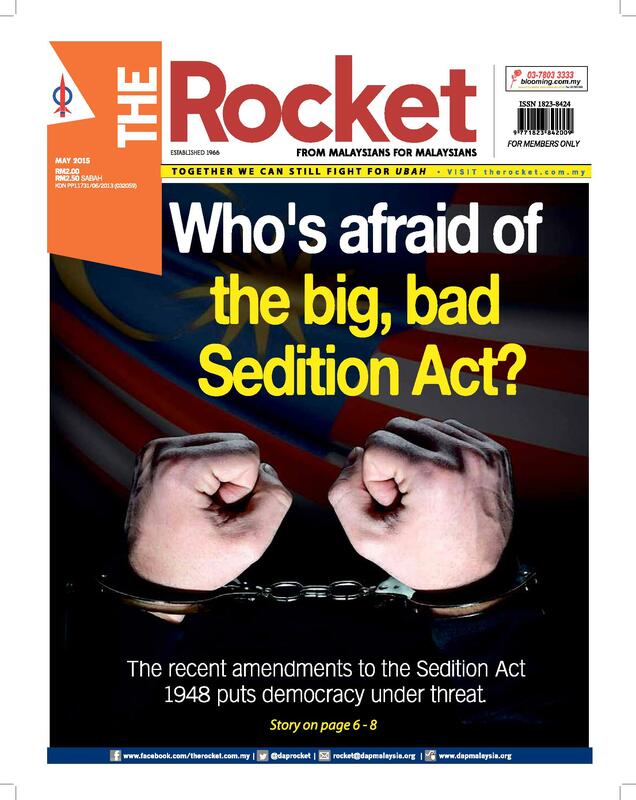 She raised the example of the ISA and the Emergency Ordinance that have been freely used as a tool of political oppression by the BN government. Chiew expresses it in one word: Unity. “How can the 1Malaysia concept be implemented if political parties in Malaysia are still race-based? Organisations such as Perkasa are the new threat to Malaysian unity,” she opined. The spunky former political aide criticised the BN government for not taking action against individuals such as (Perkasa President) Ibrahim Ali who go around “spouting racist statements”. Young people should not be cheated of their freedom, as they are the group who will spearhead change in the future, she told The Rocket. She called on youths to draw from the true spirit of Merdeka to strive for a better future for the nation. This article was written by admin on Wednesday, August 3, 2011 at 4:16 pm. You can follow any responses to this entry through the RSS feed. Both comments and pings are currently closed.